Global card network MasterCard has announced plans to ‘mine’ social media data from leading social media sits like Facebook and Twitter. This will be used to generate insights into consumer payment and banking behaviour across the Asia-Pacific region and will be sold to banks eager to get their hands on information that can help sales. The new program, called the 'Priceless Engine' will use MasterCard’s analytic capabilities to help its partner banks in Asia understand consumer sentiment and trends based on social conversations. They will be tracking engagement and transactions on campaigns as well. These are new developments in social media usages that may lead to better service provision, yet they also point to the problem of privacy and consent. Big corporations are making money from our preferences and the way we interact on social media. MasterCard will triple its investment in digital marketing in Asia Pacific over the next three years. More and more people are switching from traditional payments methods to electronic payment and companies like MasterCard only stand to gain from this. Understanding the consumer is therefore key to them, and it is going to mine social media for this. Do you want your data to be purchased by someone else? It doesn’t matter. Your data has already been purchased. The problem is that consumers haven’t really been able to answer this question. The terms and conditions that we agree to when we join these platforms are at most times so verbose and complicated with legal jargon, that reading though them is almost impossibly tedious. What might be happening to your privacy is legal even if it can also be seen as unethical. If companies are looking at such deep insight into consumers, they will use it to their own advantage, and the consumer has to be on the lookout in case this is to their detriment. With the MasterCard example, and previous cases like the selling of WhatsApp to Facebook, and privacy issues on Snapchat, the consumer is only at the mercy of his or her own wits. MasterCard has the ability to skim through your conversations and ad campaign engagements to help generate sales. According to Mumbrella, Priceless Engine, uses more than 20 technology platforms to monitor data and consumer trends. This will help the company understand what ad strategies work and how to pitch them. They can then mix and match the proper ad campaigns to the right people. 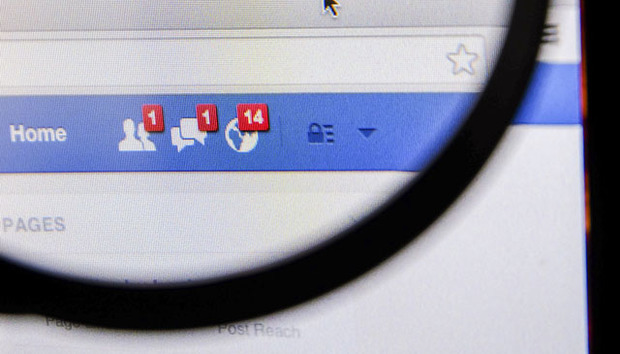 Facebook users are wary for good reason. Firstly, the fact that Facebook agrees to ‘sell’ its data to private companies for campaign reasons is a bit shady. But then, how else does Facebook make money? That is the price a user has to pay for a free service. The second problem, is the feeling of a violation of privacy within Facebook. Even though marketers have practiced this kind of campaigning for some time now, some consumers are still clueless about it. The third issue is that we have become too socialized into using social media. Even with concerns over privacy, users will not decide to leave Facebook as it has become a dominant mode of communication. But why are we making a big deal out of the MasterCard issue when marketers already benefit from Facebook’s algorithms in users’ likes? Using Facebook’s system is how it gets targeted traffic. The feeling is that MasterCard might have crossed a line when it purchased data rather than just using Facebook’s own algorithms. Facebook needs to reconsider its moves as this year has been a bumpy one. Privacy issues rose up to another level when people reported that their Facebook accounts were banned because hadn’t used their ‘real’ names in their account. Facebook had flagged a lot of accounts with fake names, not realising that they had targeted the drag-queen community. Although the issues weren’t completely resolved, Facebook had to take a step back. Right now it does not require legal names. Additionally, if Facebook has rights over selling user data, there has to be a greater deal of consent inserted into this system, if just for the peace of mind of the consumer. Social media sites cannot become their own mini-governments with no representation for the people using them. The take-away from this is to be careful of what you share on social media. If companies are using social media to generate better, tailor-made services for you, then it’s better to have honest information on Facebook, and be careful of what you write. If you feel it is subtly manipulating you, the advice is the same, be careful of who you portray yourself to be online and be careful of what you’re posting and sharing. Alternately you could leave Facebook and brave the world without likes, shares and selfie posts. But what’s the fun in that?